Special Guest For European Tour : Night Demon! 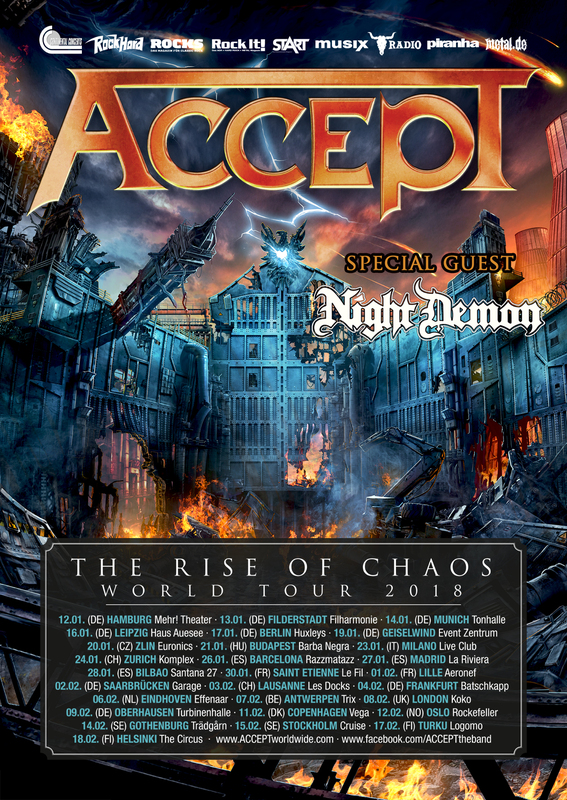 ACCEPT are excited to announce as Special Guest for their upcoming European Tour! Jarvis Leatherby of Night Demon states: “We are honored to be a part of The Rise of Chaos tour in 2018. By far the biggest and most special thing we have been asked to be a part of. Visit ACCEPTworldwide.com/tour for dates and links.